Please make a selection below to listen to featured tracks. Rebecca Frazier gained notoriety as the first woman on the cover of Flatpicking Guitar Magazine, and has since become known as “a genuine triple threat as singer, songwriter, and flatpicking guitarist.” (Nashville Scene) With over a decade of touring under her belt, Frazier has returned to the national stage with her flatpicking and songwriting showcase, When We Fall, and her new affiliation with Compass Records. 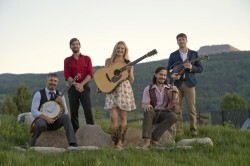 Rebecca Frazier and Hit & Run have continued to delight audiences across the country with the “handspun yet motor-driven” music that earned Hit & Run their reputation as “one of the tightest groups performing.” (Denver Westword) They are the only band to win the top triumvirate of major bluegrass band contests at the Telluride, Rockygrass, and SPBGMA Festival Band Championships. 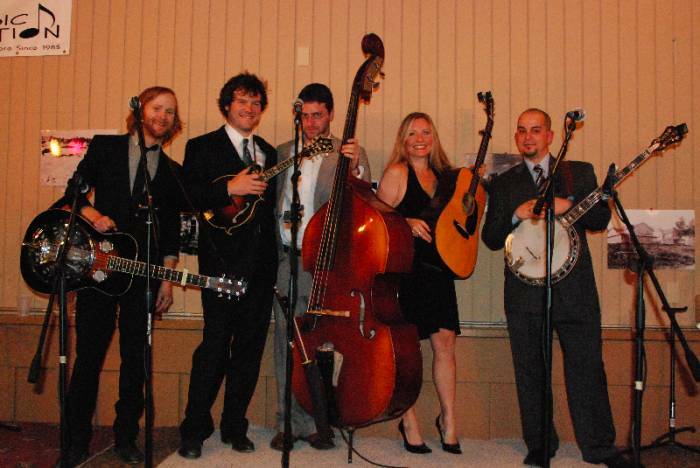 Hit & Run formed in late 2001 with the mutual desire to play “authentic yet modern” bluegrass. 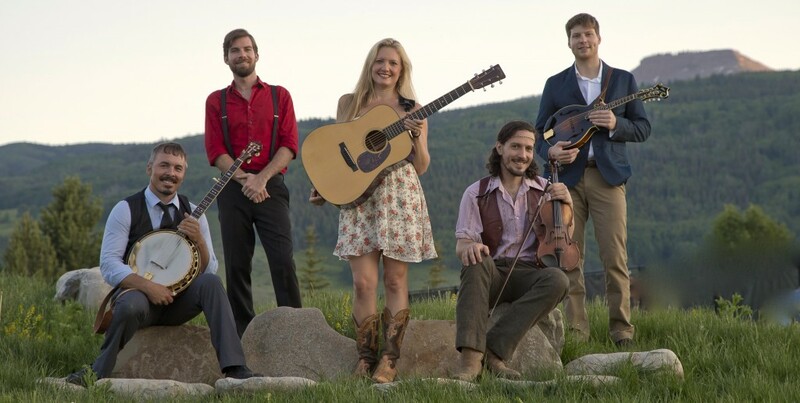 They quickly launched as a successful touring act out of Colorado, gracing stages of prestigious festivals and venues in 36 states and Canada and eventually migrating to Nashville in 2007 with two studio albums under their belts. 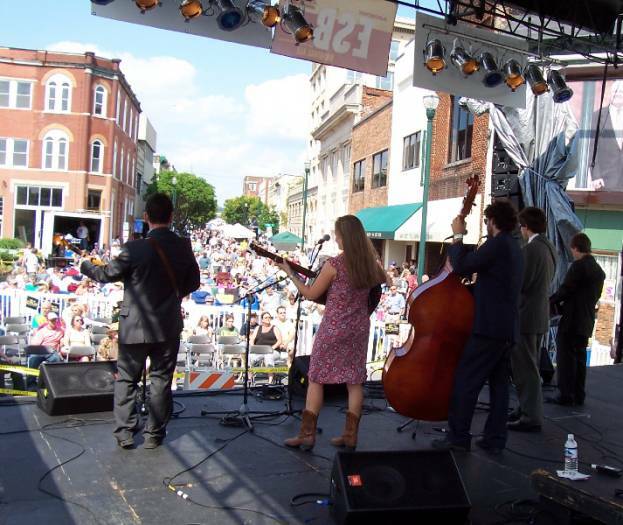 Since 2002, Hit & Run has shared stages with the likes of Jimmy Martin, Hot Rize, Rhonda Vincent, Jerry Douglas, Sam Bush, Del McCoury, David Grisman, Ricky Skaggs, Creedence Clearwater Revisited, G. Love & Special Sauce, Galactic, Medeski Martin & Wood, and many other recognized acts in bluegrass and popular music. 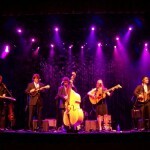 Journalist Craig Havighurst calls Rebecca Frazier “East Nashville real deal bluegrass,” and the success of her release, When We Fall, has been authenticating this title. 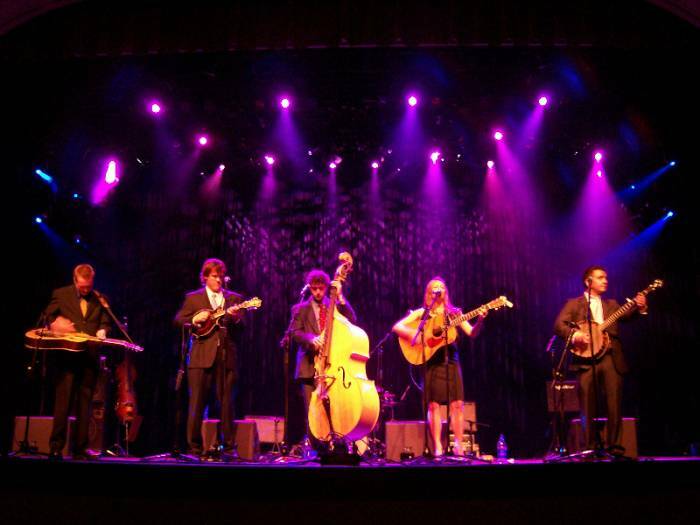 The album earned accolades in 2013—“Best Bluegrass Album of 2013,” according to Bluegrass Situation, #6 on Bluegrass Today’s Monthly Chart, and #3 on Roots Music Report Bluegrass Chart. 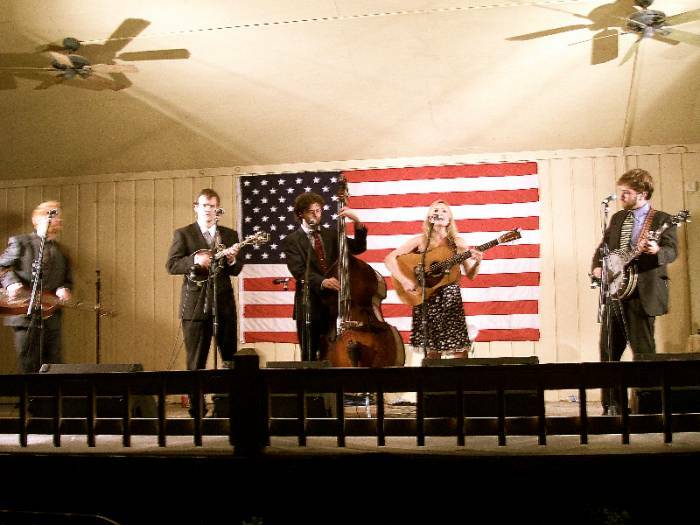 Rebecca’s work has been featured in national publications, including Bluegrass Today, Engine 145, Deep Roots Magazine, Maverick, Bluegrass Now, Bluegrass Unlimited, and more. Accompanying Rebecca are a host of world-class acoustic artists: bassist Barry Bales (Alison Krauss), banjo genre-bender Scott Vestal (Sam Bush), Dobro genius Andy Hall (Infamous Stringdusters), fiddle virtuoso Shad Cobb (John Cowan), banjo innovator Ron Block (Alison Krauss), mandolinist John Frazier and, on backing vocals, her longtime Western compatriot, Shelby Means (Della Mae). 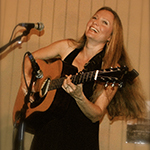 Rebecca Frazier is an award-winning singer, guitarist, and songwriter. 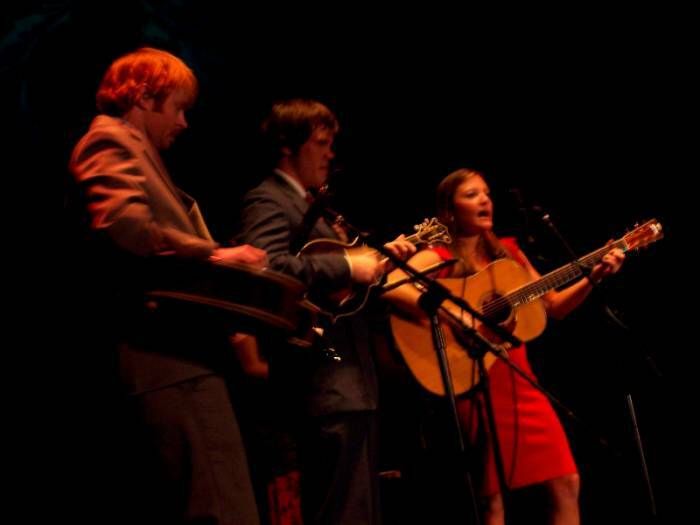 Frazier came to national attention in 2006 as the first female on the cover of Flatpicking Guitar Magazine, and was later picked up by Compass Records for her flatpicking/songwriting solo showcase When We Fall (2013). 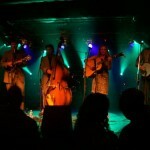 The album received heavy airplay on SiriusXM Radio and peaked at #3 on the national Roots Music Report Chart. 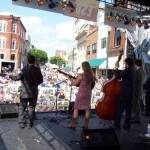 Other honors include Rebecca’s 2009 IBMA Recorded Event of the Year award for her work on the Daughters of Bluegrass’ Bluegrass Bouquet album, and Rebecca’s feature appearance singing “Keep on the Sunnyside” on Hank William’s biopic, 20th Century Fox The Last Ride movie soundtrack released by Curb Records in 2012. 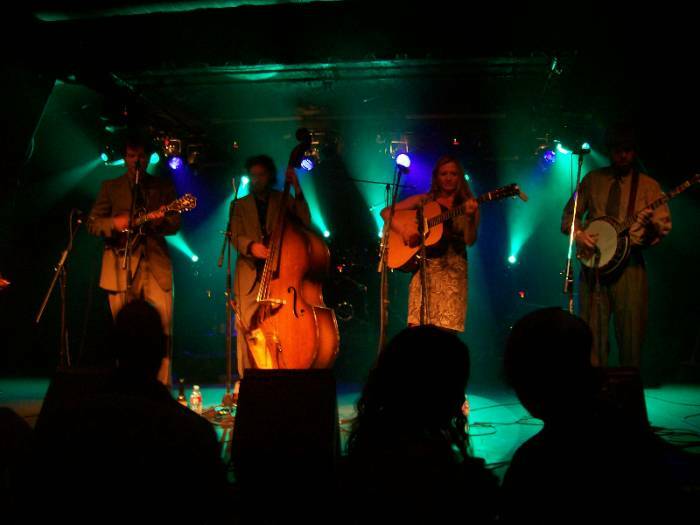 Rebecca is a founding member of Hit & Run, the first and only band to win all three major bluegrass band contests—Telluride (2003), Rockygrass (2002), and SPBGMA (2005) Festival Competitions. Frazier has been teaching music workshops across the U.S. and Canada since 2004, and has been on staff at Nashville Music Academy since 2008. 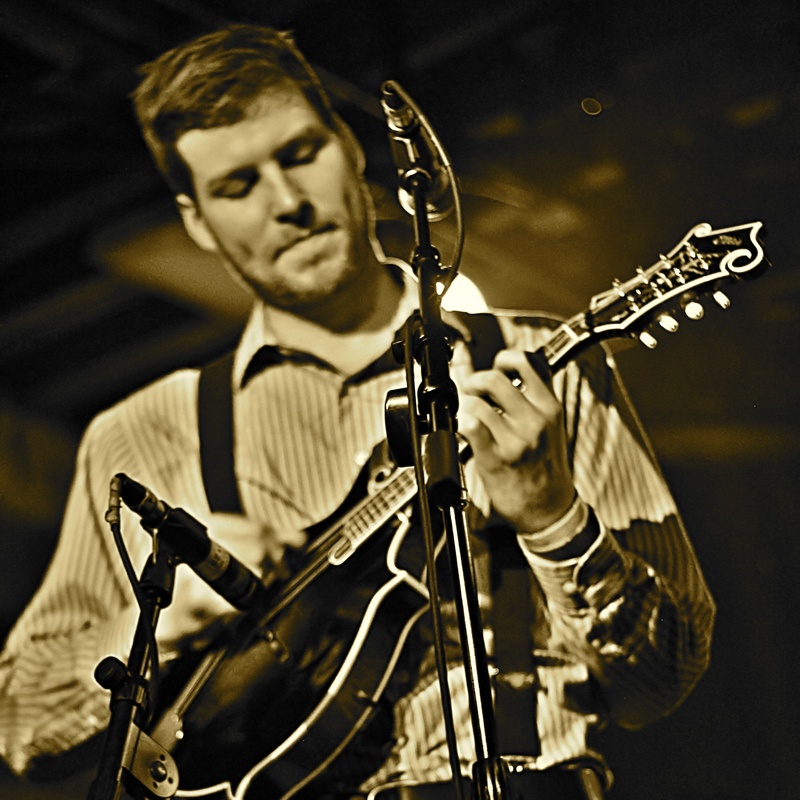 Originally from Tulsa, Oklahoma, Isaac Eicher has inspired many mandolin players with his genre-bending mandolin mastery. He began his early career largely in a bluegrass context, and won the National Mandolin Championship in Winfield, KS, as a teenager in 2006. 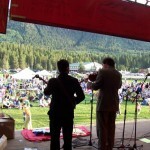 After winning Colorado state championships at Rockygrass (mandolin, guitar) he gravitated toward the sounds of gypsy jazz, bebop, and latin jazz on the acoustic mandolin incorporating modern mandolin technique. Isaac’s style draws inspiration from traditional musical language in such a way that allows the mandolin to transcend its standard settings and idiomatic restraints. In addition to studying music, Isaac received a B.A. in Spanish from the University of Oklahoma and spent a year of intensive language study in Valencia, Spain. 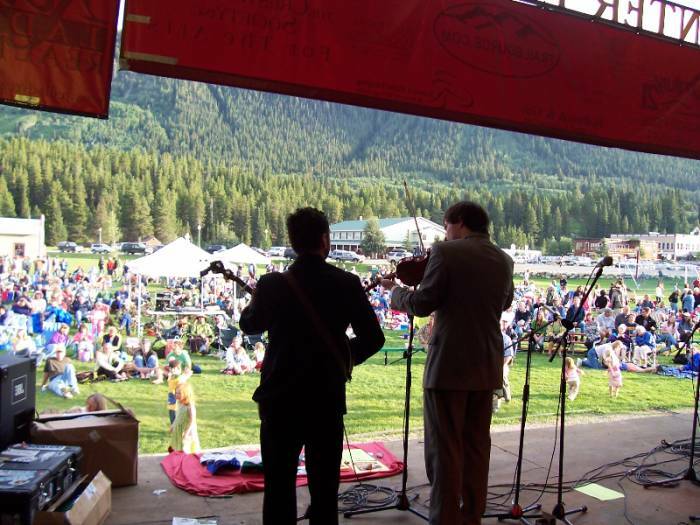 This allowed him the opportunity travel to Europe with his mandolin playing and making musical friends in Spain, France, Italy, Germany, Ireland, and Scotland. He is currently employed by Metro Nashville Public Schools as one of their fluent Spanish translators. Mike Sumner is an Indiana native currently living in the Nashville area. 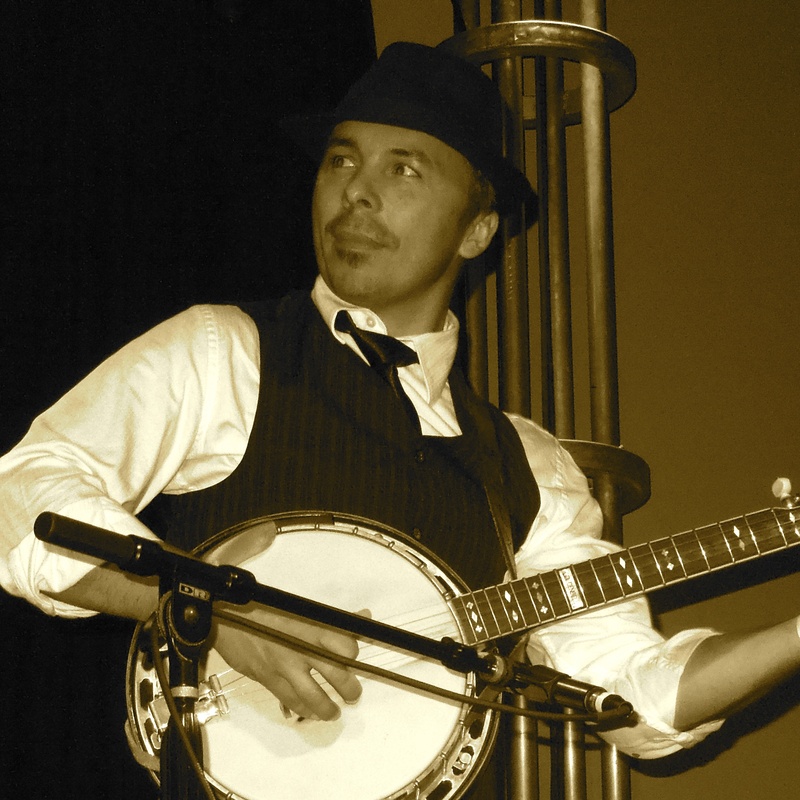 By day he is an IT director for a Nissan company and in his spare time he pursues his passion…playing bluegrass. 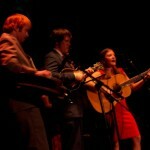 He started playing banjo at a young age and is a two-time National Banjo Champion (2001 and 2007). He also won the banjo championships at Rockygrass and Merlefest. 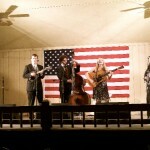 He has toured with Jim Lauderdale, Dale Ann Bradley, Randy Kohrs, Detour, and Donna Ulisse. 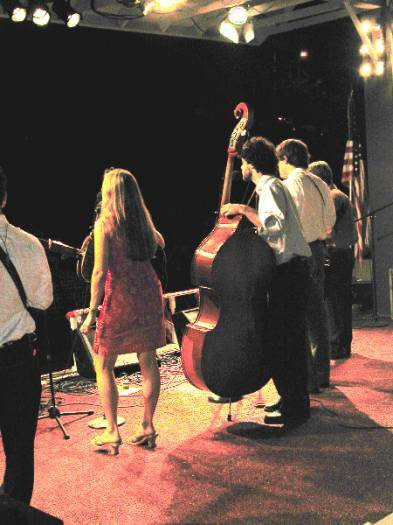 Bassist Erik Alvar is a graduate of Florida State University with a degree in commercial music. 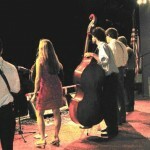 His resume includes touring acts such as The Roys, Aaron O’Rourke Trio, Grant Peeples, and others. He was selected for the 2013 Acoustic Music Seminar at the Savannah Music Festival where he worked with world-class musicians such as Mike Marshall, David Grisman, Jerry Douglas, Darol Anger, and Julian Lage. 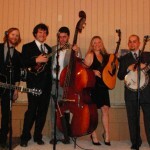 Stylistically he is rooted in jazz & bluegrass, but he has an affinity for other styles including Americana and old time. 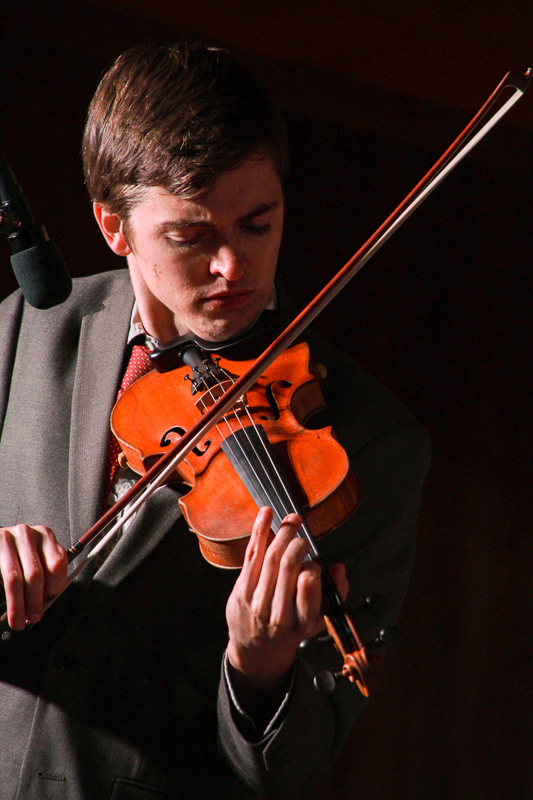 Virtuoso, Christian Ward, has developed his mastery of the fiddle at an early age. Hailing from Southern California, he has been touring since age 13. His resume includes Sierra Hull, the Green Cards, Chris Stuart & BackCountry, among others.